A heavily depleted OHA UK Played twice this weekend falling to a 7-3 loss at home to Basingstoke before taking the two points on the road Sunday, with a battling performance in Guildford. 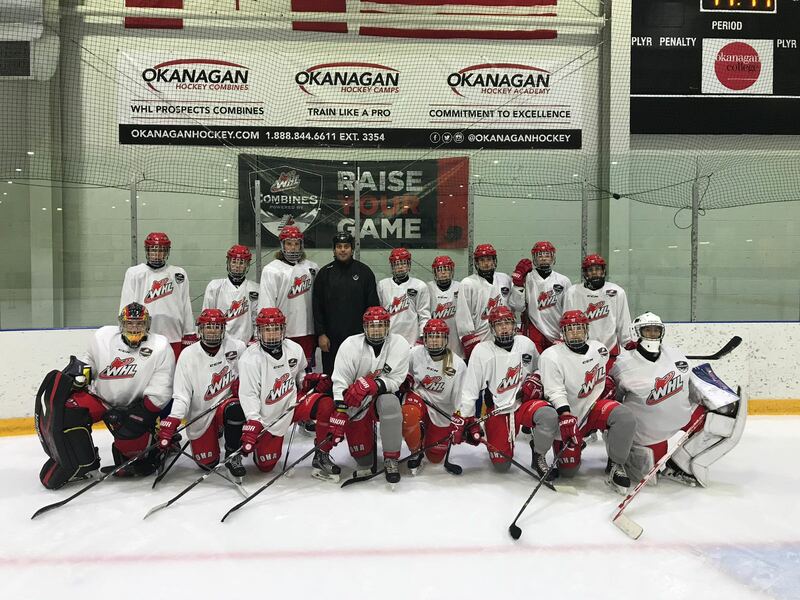 Playing the weekend without leading point scorers Reed Sayers and Jack Goodchild, along with Defenceman Jan Skorcik, Okanagan UK were looking to build on their recent win over league leaders Swindon. Down to two lines for the weekend, the team were ready for two tough battles. Saturday the team started poorly and let Basingstoke race out to a first period 6-0 lead as they struggled to get to grips with the Bison’s forwards. After regrouping in the period break, OHA came out much improved and battling for every puck and really showed more team togetherness. Jake Williams got OHA on the board on the Powerplay, after strong build up play from Lucas Arto and Joe Llewellyn. Basingstoke answered back to make it 7-1, before a great solo effort from Oli Endicott reduced the lead again. Okanagan outshot the visitors in the second and third period as they fought to claw back the damage down in the first 20 minutes. Jake Williams scored his second of the game again assisted by Joe Llewellyn to reduce the gap to four goals as OHA really started to create spells of extended pressure. But time was against Okanagan, and even the stronger final 40 minutes, wasn’t enough to bring the game back. Final Score 7-3 to the visitors. Sunday saw a much-improved display and a gritty battling performance from the team, picking up from where they left off on Saturday. The battle level from the team was much higher, and they came out hard from the first face-off looking to bounce back from the loss the day before. The first period saw the Academy have to kill off three consecutive Penalties, as the team stood strong defensively, and Max Licht in net dealt with everything that got to net. The second period again like the day before saw the team come out and raise their game. Just 22 seconds in, a good play in the Neutral zone from Aaron Moody sent Jake Williams breaking fast down the wing and finished strongly across the netminder to the top corner. OHA made in 2-0, with Jake Williams speed again causing problems down the left wing, this time his shot was stopped, but Sam Bennett was on hand to pick up the rebound and score his first OHA goal. Score 2-0 after 40 minutes. The third period saw a push back from Guildford, bringing the game back to within one goal as Evan Nauth cut in from wide and finished neatly to put pressure on Okanagan. But the academy continued to play well and battle hard as they went looking to close the game out. And again, Jake Williams was causing Guildford difficulties with his speed. At 46.14 picking up a blocked shot in the OHA defensive Zone and accelerating away to finish calmly on the breakaway to take the lead to 3-1. Guildford pulled their netminder in the final 90 seconds and found a goal to bring the game back to 3-2. OHA UK defended hard for the final minute and held on for a well deserved two points after a battling performance, keeping them in 2nd place in the league. 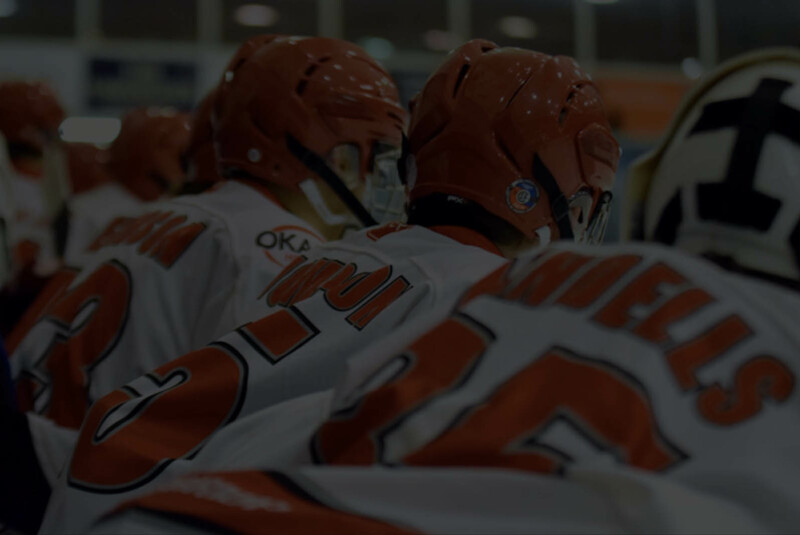 OHA UK are back in action on the 9th February, when they travel to Cardiff to face the Jr Devils U18s.